Authors are invited to submit papers online for fast response. Submissions must be original and should not have been published previously or be under consideration for publication while being evaluated for this journal. Paper must be as per A D Publication journals format. Authors should ensure that they have written entirely original works, and if the authors have used the work and/or words of others, this must be appropriately cited or quoted. All journals published by A D PUBLICATION are committed to publishing only original material, i.e., material that has neither been published elsewhere, nor is under review elsewhere. 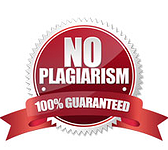 Manuscripts that are found to have been plagiarized from a manuscript by other authors, whether published or unpublished, will incur plagiarism sanctions. No changes in paper will be accepted once the decision of acceptance is announced thru email to the communicating / corresponding author. So authors are requested to make all the corrections well prior to the decision of acceptance for paper publication announced to the authors / scholars. Also if there is any discrepancy in the paper published in our journal (Example, could be due to manual error), this should be reported to us within 5 working days of the receipt of the hard copy of our journal in which the concerned author's paper is published. If it is so, A D Publication will take remedial action for such deviations / gaps. Any complaints issues received after 5 working days of the receipt of the hard copy of our journal will not be entertained for resolution. Authors / Scholars are allowed to withdraw their paper(s) only within 2 weeks from the date of acceptance of paper. Acceptance notification will be sent to the authors through email. If there is an explicitly written withdrawal mail from the communicating author within 2 weeks from the date of acceptance of paper, the paper will be withdrawn from the publication process immediately. Otherwise Chief Editor and the Editorial Board will decide whether to publish / reject the paper. This policy is followed strictly to avoid multiple parallel publications in different journals. Each manuscript must be accompanied by a statement that it has been neither published nor submitted for publication, in whole or in part, either in a serial, professional journal or as a part in a book which is formally published and made available to the public. If the manuscript is accepted for publication in our journals, it must not be published in any periodical(s) elsewhere without the permission of the editorial board. If the manuscript is accepted for publication in our journals, it will be communicated to the author(s) who submitted the same through e-mail or telephone. Author(s) is/are expected to send the Copyright Transfer form within 10 working days from the date of acceptance of paper (Scanned copy of the Copyright Transfer form is accepted). If there is no communication (either positive or negative) from the concerned author(s), then it is upto the Chief Editor to have a final verdict w.r.t the publication status. It may either be sent to the publication unit for publication or be rejected. There is a publication fee for all International Journals. A D Publication is a self supporting organization and does not receive funding from any private institutions and government. 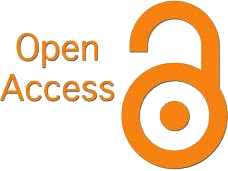 Hence, the operation of the journal is solely financed by the publication fees received from authors. Fee once paid will not be returned back under any circumstances. If authors choose not to publish after paying the money, then author can use that payment for their next research paper publication.